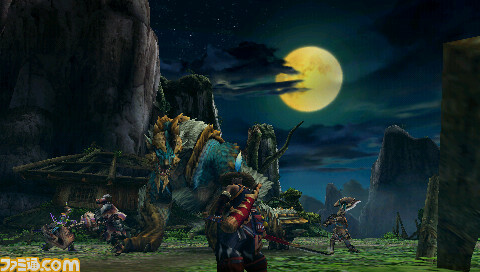 Home » New trailer proves Monster Hunter Portable 3rd is awesome! New trailer proves Monster Hunter Portable 3rd is awesome! Was there even any doubt? Monster Hunter Portable 3rd comes after the heels of Monster Hunter Portable 2nd G and will be a franchise “reset” in the same fashion of Monster Hunter Tri on the Wii. Here’s the latest preview trailer for Monster Hunter Portable 3rd fresh from TGS. If you’ve played Monster Hunter Tri, Portable 3rd has some changes to set each game apart so you’re not playing the very same game (too bad you won’t be able to import your character too :(). If you’re coming from an older Monster Hunter title, be sure to check out the Switch Axe :). More info on Monster Hunter Portable 3rd is available here. What’s new in Monster Hunter Tri? I can has monster hunter! ?